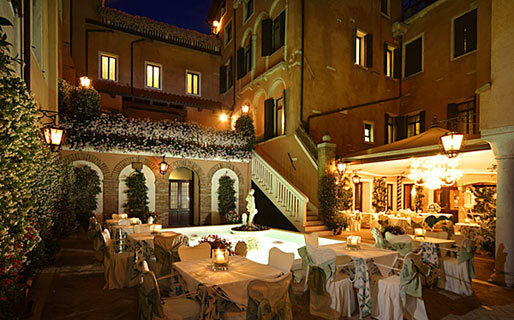 In Venice's Cannaregio district, within easy walking distance of the Rialto Bridge and St Mark's Square, Hotel Giorgione is one of the lagoon city's oldest and best-loved, four star establishments. 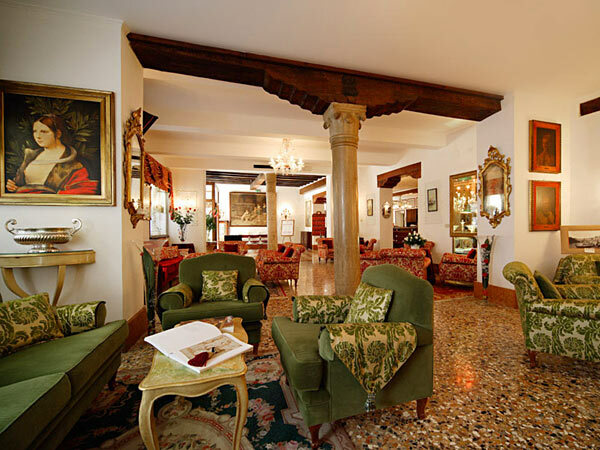 The hotel, characterized by a beautiful peach colored façade, dates back to the 17th century, when it served as warehouse to store sweets made by the city's Dolcetti family. 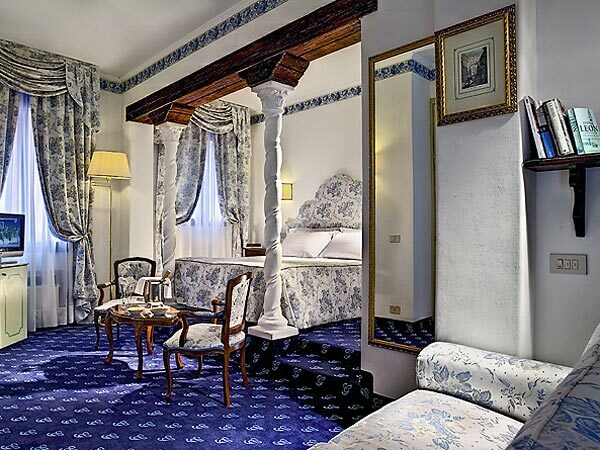 Transformed into an Inn in the early 19th century, today's Hotel Giorgione has been in the hands of the Pasotto family for generations. 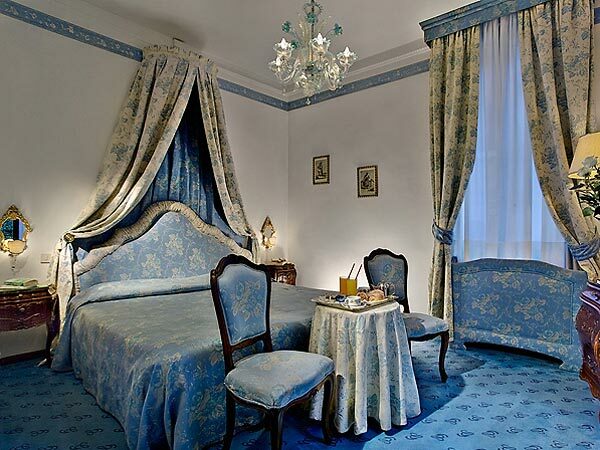 Each of Hotel Giorgione's bedrooms, is individually furnished in classic Venetian style and adorned with period artworks and antiques. 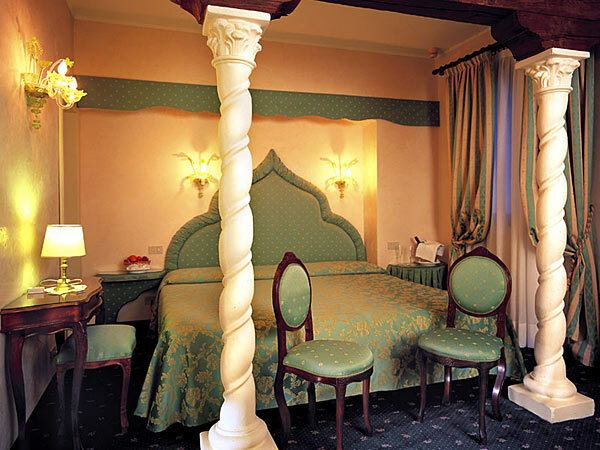 Hotel Giorgione's spacious, split -level Junior Suites, comprised of romantic bedroom on the mezzanine floor and sitting area and bathroom below, are particularly popular. 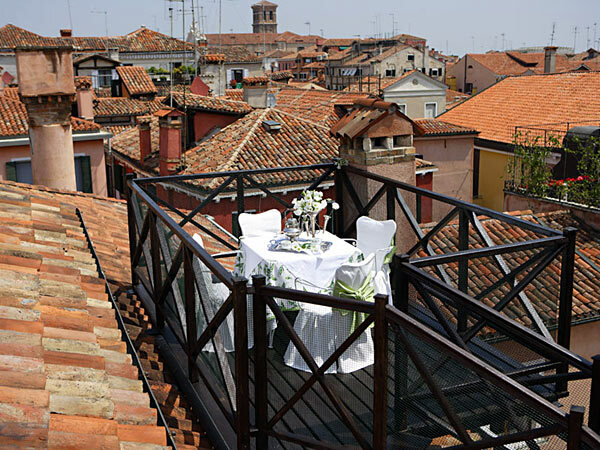 Book early if you want to stay in one of Hotel Giorgione's Junior Suites with terrace: the view over the rooftops and bell towers of Venice is truly amazing! 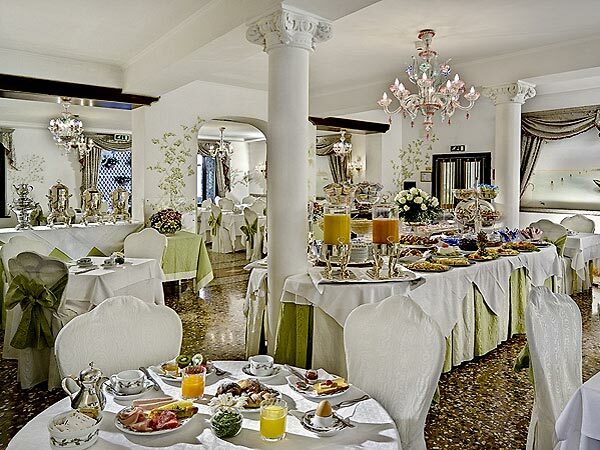 A delicious buffet breakfast is served in the dining room overlooking the hotel's Venetian courtyard. On warm summer evenings, the hotel's romantic garden, complete with fountain, provides the ideal venue for an al fresco aperitif or after-dinner drink. 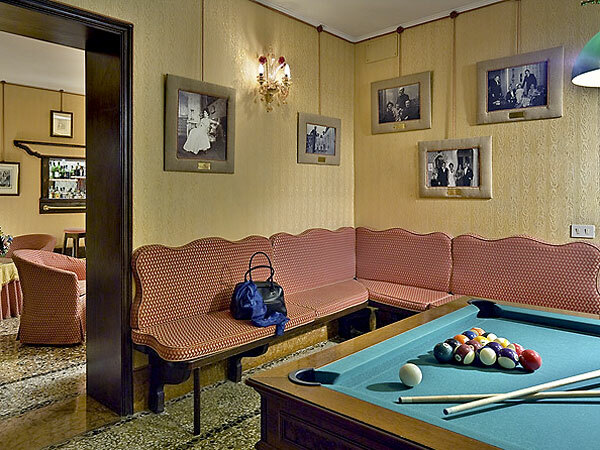 Within steps of the hotel, the "Osteria Giorgione" restaurant and wine bar serves an excellent selection of authentic Venetian dishes and regional wines. 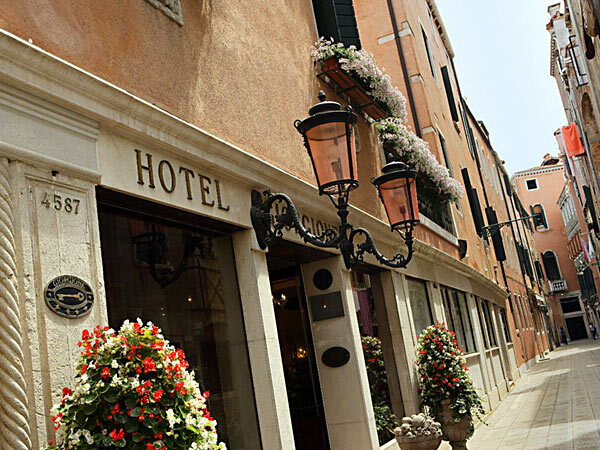 Hotel Giorgione enjoys a peaceful location in Venice's Cannaregio district, within easy walking distance of the celebrated Rialto Bridge and St Mark's Square.